Cephalopds are superficially squid like creatures, having ten arms of equal length, with inward curving hooks for grasping prey. Unlike modern day squid, they possessed hard internal skeletons. 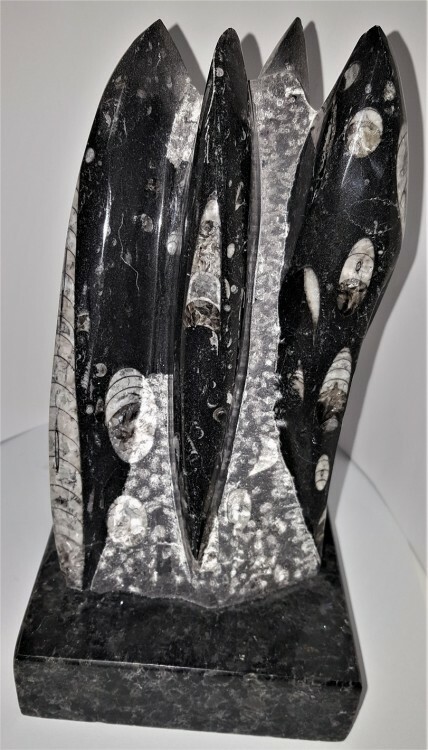 This is the rostrum, a solid structure at the posterior end of the creature. 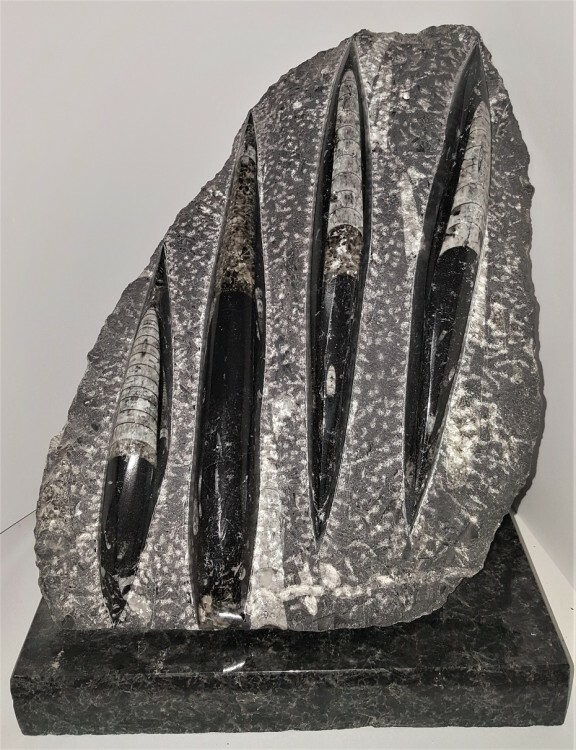 It was generally bullet shaped. 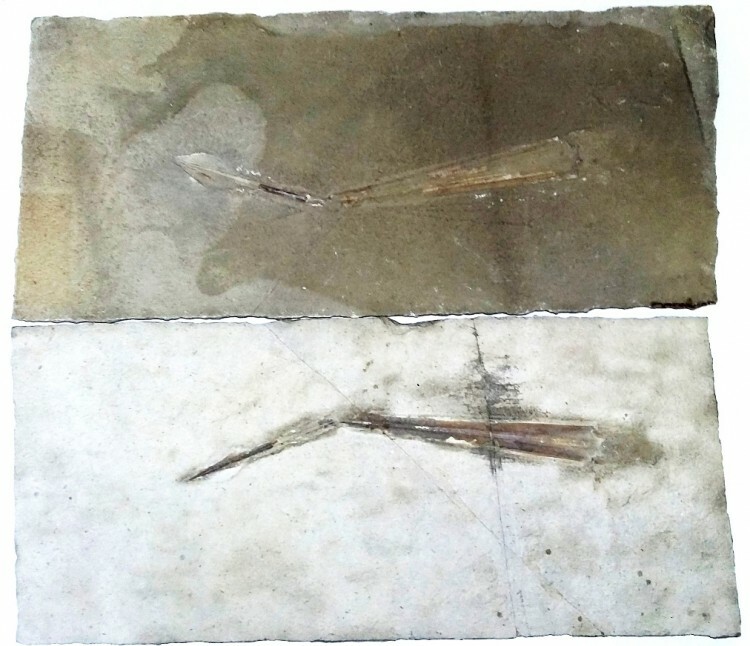 Often these are the only parts of the animals preserved in the fossil record. 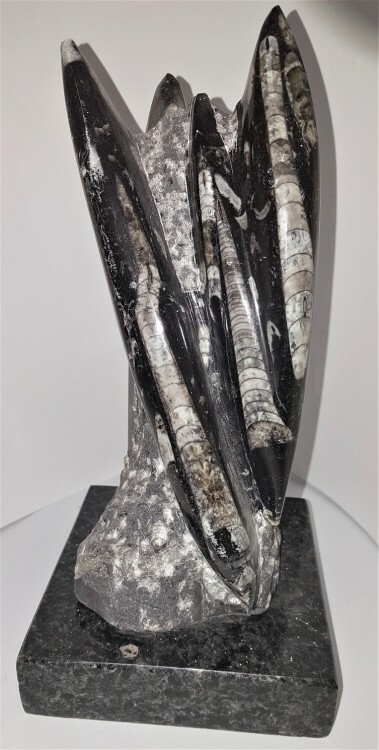 Fantastic Orthoceras Sculptural piece mounted on a polished stone base. 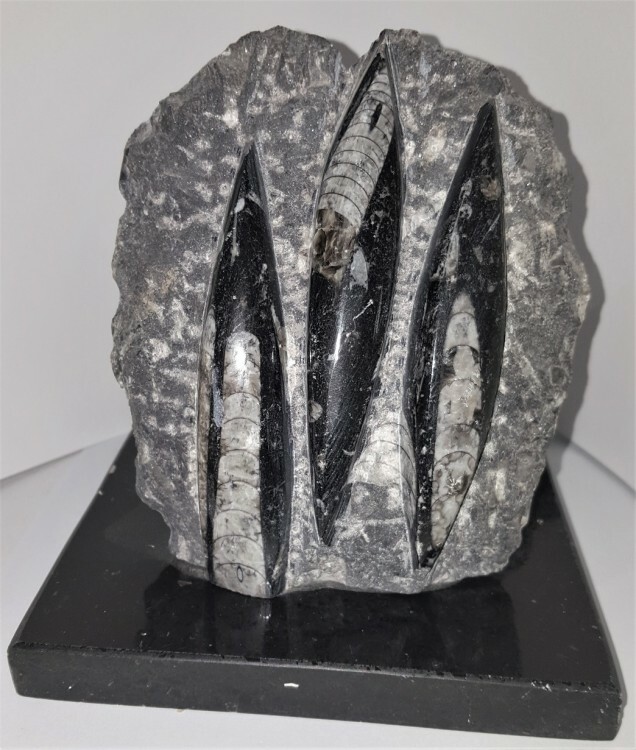 A highly unusual, large belemnite positive/negative fossil from Germany.